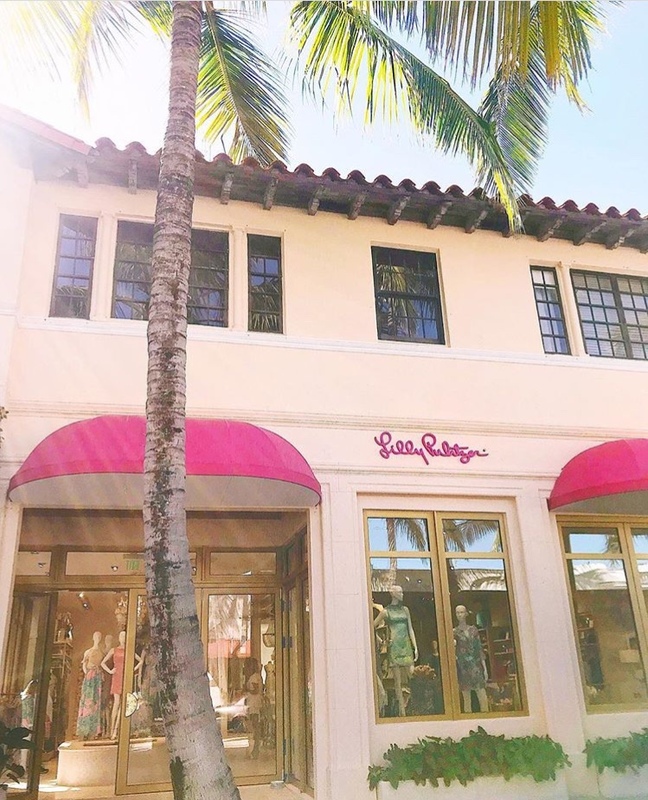 We loved being a part of this amazing new Lilly Pulitzer experiential store which opened earlier this month on Worth Avenue in Palm Beach. This unique store celebrates all things Lilly and features a full-time in-house artist creating prints while people shop. Every corner of the store is covered in signature Lilly, including sofas, curtains, picture frames and the fitting rooms. We crafted and installed a faux floral arrangement for the ceiling above the fitting rooms. The tropical lush display adds an unexpected layer to the space. Bright pink curtains offset by a pool blue print add privacy and softness to the fitting rooms. Brass hardware adds a touch of nostalgia and sophistication. Curtains sewn and installed by Circle Visual.